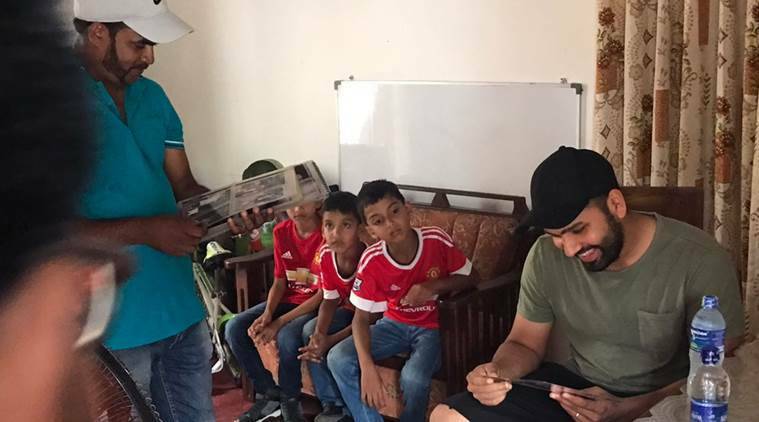 Rohit Sharma visits Sri Lanka cricket superfan Nilam at his home in Colombo after promising him the same when the Sri Lankan was in India. 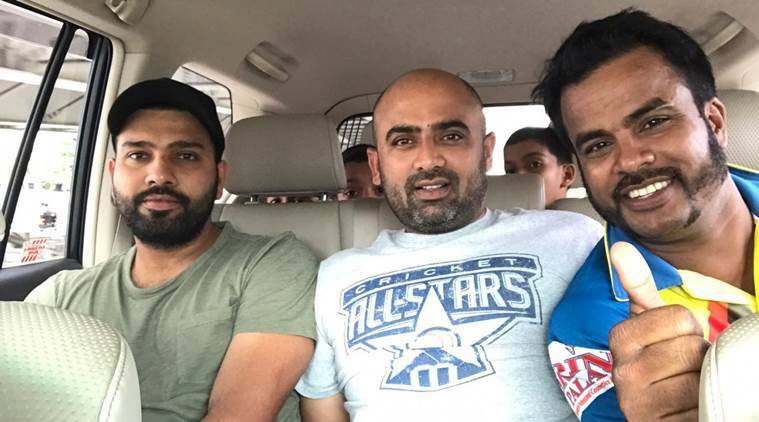 In December, Rohit paid for the tickets of Mohammed Nilam and promised a visit to the Sri Lankan fan’s home in Colombo. 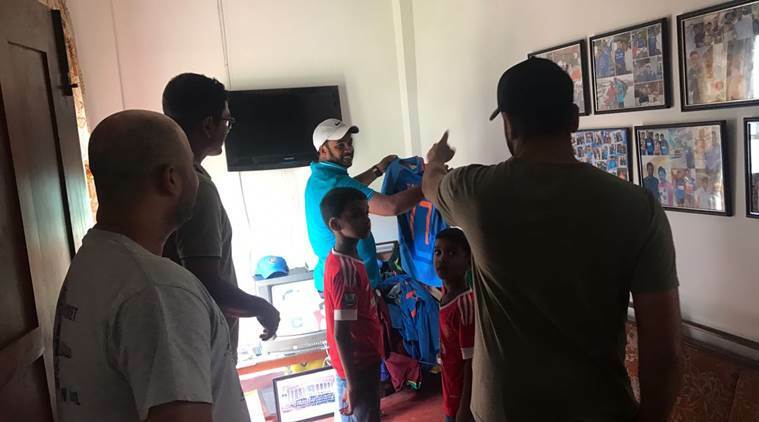 In December, Rohit Sharma was confronted by a teary-eyed Sri Lankan cricket fan Mohammed Nilam in India. Nilam had just found out that his father was suffering from cancer. Nilam had been a long-time admirer of Rohit, and it was Rohit who paid for air tickets and gave some money to ensure the son could be with the ailing father soon. Rohit had also promised a visit to Nilam’s home in Colombo. On Friday, Rohit kept his word. To ensure nobody knows about his celebrity benefactor’s visit, Nilam had not even informed his family. “I know him (Nilam) for many years now. He has cheered for me for so long now. I still remember he was crying a day after the Test in India, telling me how his father was not feeling well. “These are the people who make who we are today. They are the ones who pray for you, they stand beside you in your bad times. I had told him in December that if I come to Sri Lanka this March for series, I will come to his house to see his father. Today, I could feel the happiness they got seeing me,” Sharma told The Indian Express. It’s also a case of how fans from different countries come together in tough times. It was Sachin Tendulkar’s super fan Sudhir Gautam, who first found about the condition of Nilam’s father, and passed the message to Rohit. “Rohit is clean-hearted guy,” Nilam says. “I still remember the day when I got a call from my family that my father is not feeling well. Frankly, I didn’t have any money than and didn’t know anyone else also in India. The last moment flights are expensive, so Rohit got to know from Sudhir (the Sachin Tendulkar fan) and he called me to hotel. He handed me the tickets and money. Who will do this in today’s time?” Nilam says. Whenever India’s play in this part of the world, Nilam says his loyalties remain with Sharma. It’s not just Rohit’s batting that has attracted Nilam but the simplicity and good nature which makes him different from others. “It’s not that only Rohit knows me in the Indian team, I know everyone but everybody knows that my loyality towards Rohit is more than other players. If Sudhir is known as Tendulkar fan, Iam known as Rohit’s number one fan,” he says.